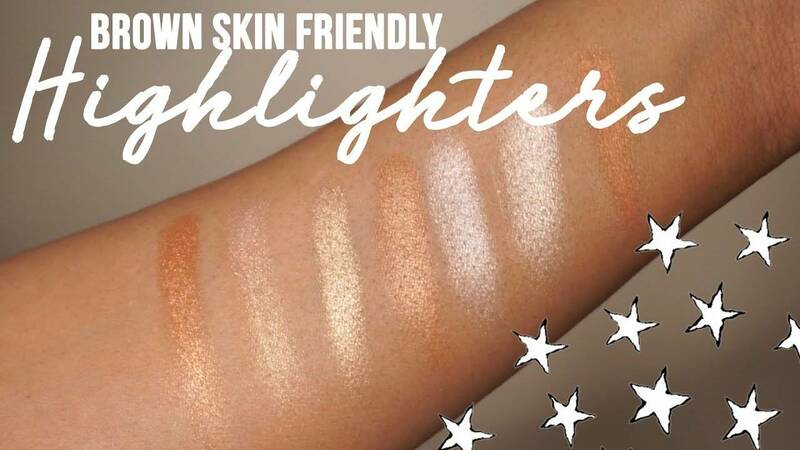 Let your skin SHINE with one of these top highlighters for dark skin! Even with the plethora of highlighters on the market, it can still be a challenge to find the perfect highlighter that glows and shines on deeper skin without casting an ashy haze or shadow. Through months of hoarding and testing, I now present to you my recommendations of top highlighters for dark skin! I’m all about that healthy, wet-skin look when it comes to highlighters for dark skin. I love when the shine appears ALMOST natural yet intense. No flakes of sparkle or chunks of glitter. Here is a round up of my favorite highlighters for dark skin ranging from champagne gold to dark bronze! MAC was in the highlighter game before anyone else was even thinking of highlighters as a trend. I remember buying MAC Gold Deposit before even realizing the power of highlighters. Maybe, I was planning on using this as a blush topper! I even included this is my Everyday Makeup for Dark Skin post back in 2015. This is the perfect beginner highlighter because the finish is fool-proof and the shade works on a variety of deeper skin tones. Fenty Beauty has been getting a lot of love lately in the beauty community. Trophy Wife may have gotten all the love at the Fenty Launch but the real star in my eyes was the Killawatt Duo in Mean Money/Hu$tla Baby. It hits the light so perfectly and gives off a healthy, natural glow that even Rihanna would approve of. This highlighter stopped me in my tracks so I had to include it in my highlighter recommendation list. This is a splurge but, baby, you deserve it! 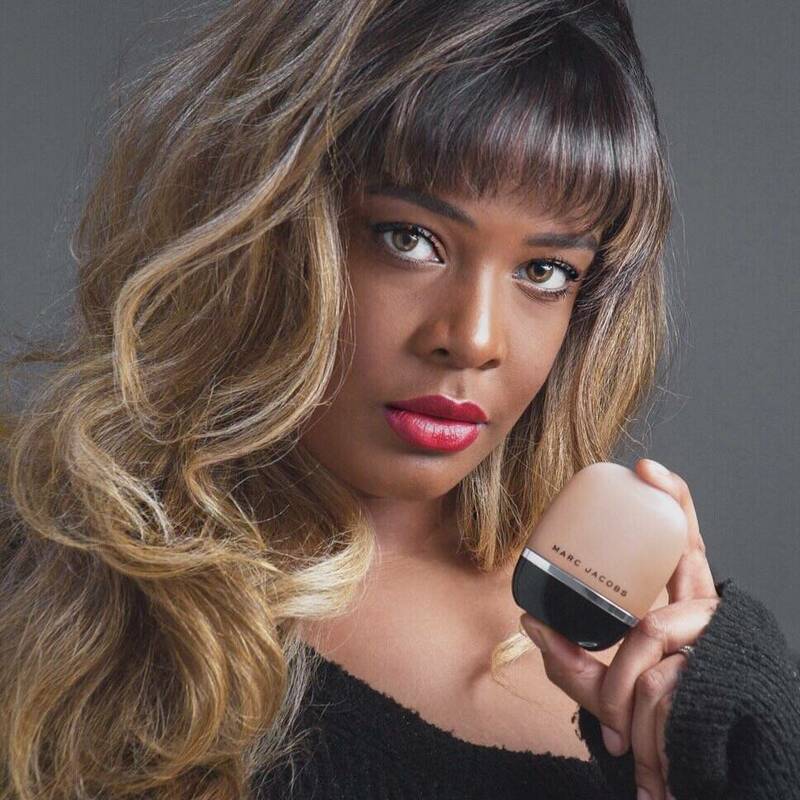 The Luminous Gold shade of this highlighter is perfect for the “wet skin” look on darker skin tones. It has a creamy powder finish that melts into skin effortlessly. All shine and no glitter in this highlighter. Another classic staple! Betty-Lou Manizer has found a permanent home in my collection. I use this as an everyday highlighter because it has a subtle glow. The warmth and shine this highlighter gives is perfect to amplify your everyday look without being too over the top. Plus, the name is a great pun: Lou Manizer – Loumanizer – Luminzer – Luminous. I highly recommend the Sundipped Glow Kit if you’re looking for a palette than can work for many different looks. Out of all the shades in this palette, Moonstone is my favorite. It looks so “Wet” and high-shine on my skin. It was an unexpected favorite out of this palette and now I can’t give it up! I’m obsessed with the way this highlighter is pressed; aren’t these ridges a great way to showcase how dimensional the highlighter is? OBSESSED. The ABH Amrezy highlight is a pale champagne beauty that you need in your collection. I was skeptical at first but I don’t regret this purchase at all. The Armani Bronze highlighting powder is a great multi-purpose powder. It can be used as a highlight, blush topper, or an all-over shimmer setting powder for a luminous finish. It doesn’t leave chunks of glitter on your face because it is so finely milled. What are your favorite highlighters? Previous Post I Tried the Marc Jacobs Shameless Foundation!